The "pay-as-you-wish" policy has, in recent years, been tested by museums across the county. A 2010 study reported in Science magazine measured the success of selling some souvenir photographs at a fixed price and others for whatever buyers were willing to pay. Researchers found that the greatest revenue came when consumers were informed that a percentage of what they paid went to a charitable cause. 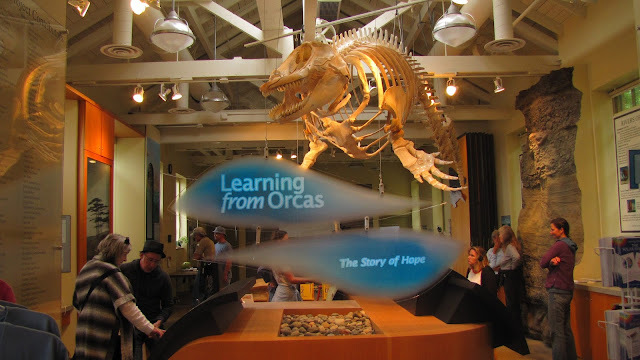 "When visiting the Port Townsend Marine Science Center, we hope our guests will support our many programs and contribute to our cause -- inspiring conservation of the Salish Sea -- by offering a donation instead of paying admission," Boire said. "Once we have a couple of months of data to review and compare to past years, we will decide how best to proceed with our admissions policy for our public exhibits starting in the spring," Boire said.